With compassion, creativity, and comfort in mind, our mission is to provide affordable and accessible computer education to local seniors and retirement communities. CyberObjex has been in the computer consulting and repair business serving computer users and small businesses since 2001. Our organizational vision on computer training for seniors is to narrow the increasing senior digital divide resulting from the senior community’s lack of exposure and affordable access to such services. Exposure to computer education addresses issues of loneliness, isolation, depression and cognitive development, and enables access to community resources, thus fostering an overall healthier senior community. We will fulfill our mission by hosting high quality, on-location mobile computer instruction classes, one-on-one tutoring and assist in the acquisition of affordable computers for our senior clients. We offer private and group classes on most of the popular programs available today. We work with all levels on all topics. MS Office, Tablets/iPads, new beginners to advanced users. We work with Apple & Windows, tablets, phones and provide technical support. Although many of our students are beginners, we offer training and tutoring on most every topic. Please see below for a list. If you do not see the topic you are interested in, please contact us and we will see if we can accommodate you. How much does our on-site-training for seniors cost? 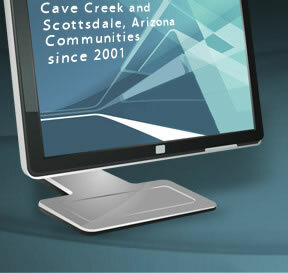 If you are in the Carefree, Cave Creek or Scottsdale areas, our hourly rates start at $60 per person per topic. Larger attendance rates are negotiable on price. Outside of these ares, since we are driving to you, rates will increase commensurately. Please note that our on-site computer training for seniors is available by appointment only. Call us today at (888) 488-9002 to schedule a short “exploratory” meeting with you to find out your goals, skill level and interest, thereby customizing the lesson for you and to introduce ourselves to see if you think we would be compatible for a student / teacher scenario. You are under no obligation for our services. We also provide handouts and literature as necessary. For more information about CyberObjex's On-site Training for Seniors send us an email addressed to education@cyberobjex.com and we will respond to your email with information regarding our programs. These services are mostly in-home services as well, where we come to your home to work on your computer. NOTE: We do not work with large business on computer maintenance.